Despite all my preparation for the birth of my third child, something I overlooked was a nursing pillow. I had always planned on breastfeeding Benjamin, so it was a bit silly of me not to have anything to make the process that little bit easier and more comfortable. Coming up to three months into our breastfeeding journey and I’m pleased to report that everything is going well, but as Benjamin gets heavier and heavier, my arm is threatening to drop off with every feed! Fortunately for my arm, the lovely people at Hush Cush sent us their nursing pillow to help make things a whole lot more comfortable. The pillow is designed to help correct positioning and latch for breastfeeding mums (although I’ve also heard that those bottle feeding have also used the pillow successfully during feeds). 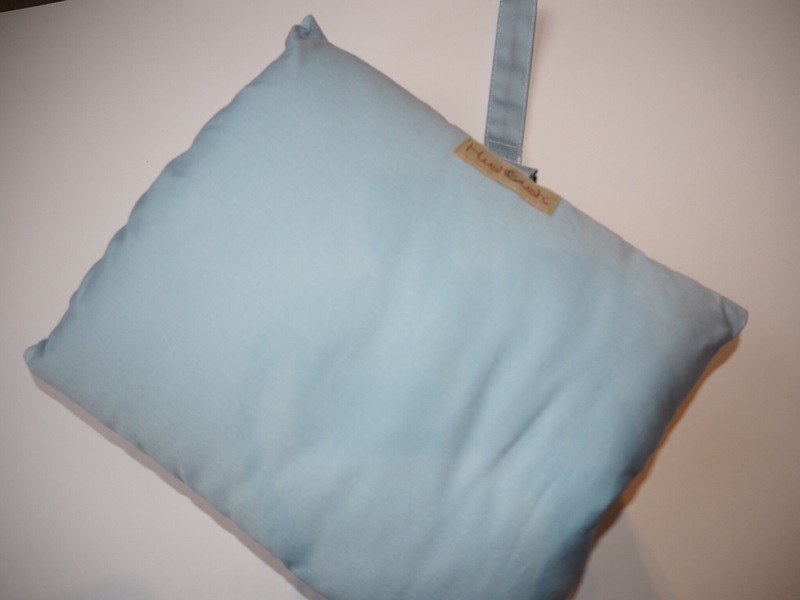 The nursing pillows come in a variety of colours (ours is blue, because I’m one of those people who love having everything match), and they are small enough to be able to take out and about as well as when feeding at home. The outer cover can be put in the washing machine, which is great as no doubt Benjamin will end up being sick all over it sooner or later! The pillow is really soft and easy to just pop on at the start of a feed and pack away again at the end. It doesn’t take up a lot of space and can be packed away easily. I love that it’s small enough to have with me wherever we go, I couldn’t imagine carting round one of the standard size feeding pillows I’ve seen before. The pillow can also be used whilst standing up and feeding, which is something I do all too often due to my busy lifestyle and running around after the older two children. Benjamin seems a lot more settled with his feeds now that I don’t have to reposition my arm every few minutes. 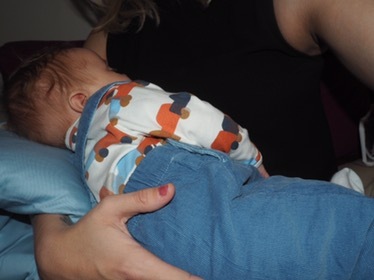 We can just sit peacefully for the duration of the feed and,as he often falls asleep at the end of the feed, I get a few minutes peace to catch up on emails or draft a blog post so everyone’s a winner! I also love that, as the pillow retains my smell, Ed can feed Benjamin a bottle of expressed milk and he is calm as he feels I am there (something we have struggled with in the past). The pillow also helps aid digestion, which is good as Benjamin sometimes tends to have trouble getting his wind up and he can become uncomfortable. The Hush Cush is suitable from birth and is available for the website, priced at a reasonable £29.95 with free UK delivery. 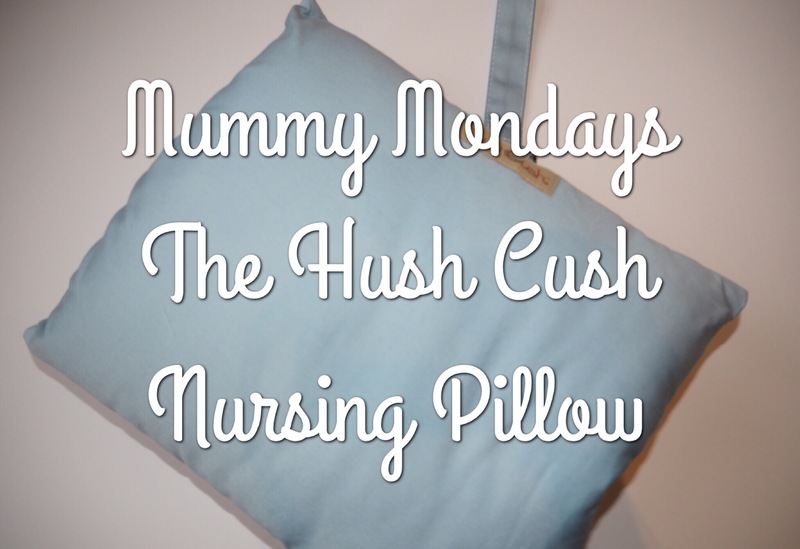 The Hush Cush nursing pillow was sent to me for the purpose of review, however all views and opinions are my own. This cushion is fab, I have one but it was so large! So great they come in a smaller size, as well as being able to use whilst standing! FYI I am one of those people too, who like things to match lol! This looks fab! I always struggled with carting my big BF pillow around. Would definitely look into this for baby no.2. Haven’t seen one of these before but what a great product – love that you can use it standing up!! This sounds amazing! I wish I had known about this when I was feeding Alfie – I remember the dead arm feeling so well and he probably got so fed up with me constantly rearranging him. Definitely saving this for future babies. Your little one is adorable as well! I LOVE my current bf pillow but it’s far too big to take out and about with me. This is ingenious!